One of the most unique concepts India has witnessed in the field of food and dining has come in the form of MunchWithUs, India’s largest social dining network, which aims to make dining more than just a culinary experience, but also include the element of socialization and fun while meeting new people. MunchWithUs builds on the idea of forming new friendships over food while you dine at your favorite restaurants around town. The company uses something called MunchWithUs Social Meals to connect people in the real world. It’s also very simple a process, making the pre-dining booking and other planning easier for the diner. All one needs to do is browse for people one wants to dine with by having a look at their profiles, and select the restaurant of one’s choice. Once this is done, you need to reserve your seat for the meal by adding money in your MunchWithUs Wallet through a CCAvenue payment gateway. After your money has been added, since the payment has been made, one just needs to print their meal pass and enjoy the meal while socializing. “We created MunchWithUs to expand our offline connections and meet new people. We thought it'd be much more fun to bond at the best restaurants in your city for a discounted price. And so MunchWithUs was born,” the website, reads. The passes for meals with MunchWithUs are fully transferrable, enabling people to give a pass to someone else if they can’t make it to the meal. Cancellations are strongly discouraged by the company, and so are late arrivals. 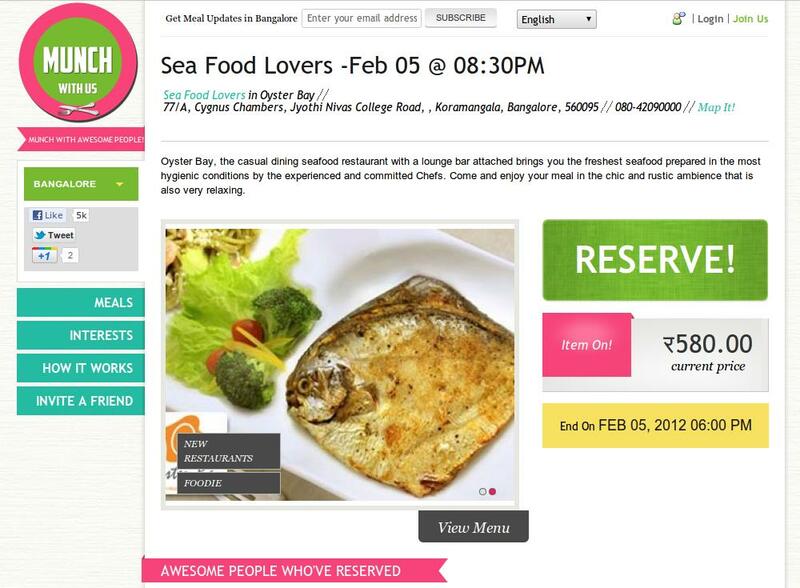 The service is currently available only in Bangalore and Gurgaon and they’re looking to expand into more cities. A rather interesting addition to the entire dining experience is the Meal Etiquette rulebook brought out by the company. Do check out this service at www.munchwithus.com.